I already gave you my picks for Thursday’s games, so here is what I think will happen Friday. I have Duke in my Final Four, but Mercer has the players to ruin the Dukies’ run on day one if things fall the right way. Mercer is a veteran group with six seniors in its rotation. The Bears don’t have any amazing wins, but they did knock off Seton Hall, Oklahoma, and the boys from Dunk City twice. They also took Texas to the wire. Mercer also has some size and athleticism, which makes it a good upset pick. Senior forward Daniel Coursey stands at at 6’10”, and two other rotation players are at least 6’9″. But the Bears ultimately will not have enough to slay Coach K’s team. 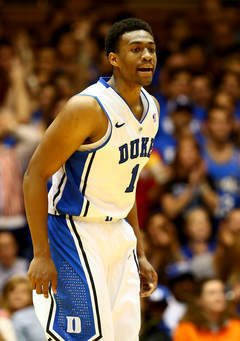 The Blue Devils simply have too many weapons, including Freshman of the Year Jabari Parker. In a matchup between a current Big 12 school and a former Big 12 school, there is also a matchup between high-octane offense and stifling defense. Baylor enters with a top-10 offensive efficiency on KenPom, and Nebraska is in the top 30 for defensive efficiency. This is the first NCAA Tournament appearance for the Cornhuskers since 1998, and the program has never won a game at the Big Dance. Head coach Tim Miles is looking to reverse that script with a young, overachieving group. Baylor fell to the bubble after losing five straight games and seven out of eight early in conference play, but the Bears have been as hot as anyone recently. They won seven of their final eight conference games, and then made a Big 12 tournament run, losing in the championship game to Iowa State. Nebraska has a phenomenal scorer in Terran Petteway, and Shavon Shields has been on a tear. Big man Walter Pitchford has also made consistent, quality contributions. But remember that Baylor head coach Scott Drew has advanced to the Elite 8 in teach of his last two appearances. 7’11” forward Isaiah Austin has the size and versatility to shut bother Pitchford, and fellow Baylor bigs Cory Jefferson and Rico Gathers will be too much down low for the Cornhuskers. Add in that point guard Kenny Chery has been on a tear this month and Brady Heslip’s shooting stroke has been spot on, and with this core the Bears could possibly wind up back in the Elite 8. The committee under-seeded New Mexico once again, but this time at least it produces an intriguing, west-coast matchup. 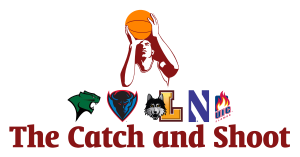 The Lobos and the Cardinal have similar makeups with high-scoring combo guards, a bruising power forward, and a stretch-four. New Mexico’s Kendall Williams and Stanford’s Chasson Randle will go head-to-head in the backcourt. Williams averages 16.4 points and a team-best 4.9 assists per game. He has become a much more accurate 3-point shooter this season, now making more than 40% of his triples. Randle has also become a more dominant and efficient scorer this season. Before scoring 11 points in the Cardinal’s last game against UCLA, he had posted more than 20 points in four straight outings. 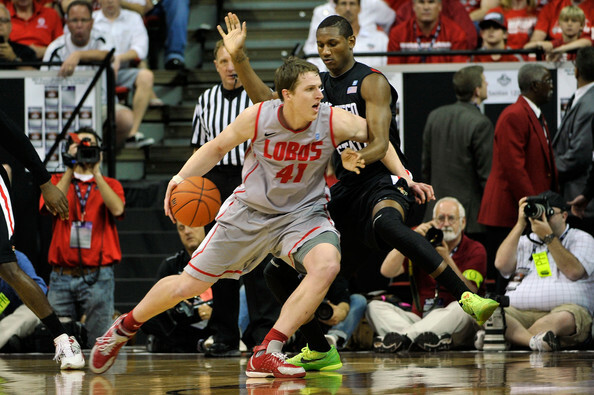 In the post, Cameron Bairstow matches up with Dwight Powell and Josh Huestis. Bairstow is arguably the most improved player in college basketball this season, going from an average starter the team’s best scorer and most imposing presence. Watching him and Powell, Stanford’s second-best scorer and rebounder, work against each other will make for one of the better second-round matchups. Then you’ve got Alex Kirk as a stretch-four going up against John Gage and Anthony Brown. If there’s any Friday afternoon game you shouldn’t miss, it’s this one. There’s not much to be said here. Weber State’s only chance in this one is if the NCAA renews Damian Lillard’s eligibility. Weber State has a pair of very solid bigs in senior Kyle Tresnak and sophomore Joel Bolomboy. Tresnak is averaging double-digit scoring for the third straight season and is coming off a 27-point performance in the Big Sky title game. Bolomboy is a double-double threat with 9.6 points and 10.8 rebounds per contest. The one Weber State player to really look out for is senior guard Davion Berry. Berry has had two great seasons at Weber State, and he leads the team in points, assists and steals. Although I picked Duke to win the Midwest, Tennessee has the potential to reach Indianapolis out of this Raleigh pod. But first, the Volunteers need to knock off Massachusetts. According to KenPom, Tennessee is extremely under-seeded. The Volunteers rank No. 9 overall in KenPom after Wednesday’s First Four win against Iowa. Massachusetts is the No. 6 seed, but the Minutemen rank just No. 50 in KenPom. Massachusetts will need a huge night out of senior point guard Chaz Williams, who is capable of producing. The 5’9″ point guard averaged 15.8 points and 7.0 assists this season. But the Minutemen will also need to hope Tennessee’s offense falls back to its struggling ways. The Volunteers have a reputation as an awful offensive team, yet they rank No. 3 in adjusted offensive efficiency, according to KenPom. They scored 1.2 points per possession Wednesday against Iowa but only 0.90 points per trip in their two SEC Tournament games. Ultimately, Tennessee’s defense and the frontcourt duo of Jarnell Stokes and Jeronne Maymon will be too much for Massachusetts to handle. Creighton will be tested in its first game, but ultimately the Bluejays will advance with some breathing room. Creighton has the Player in the Year in Doug McDermott, two great point guards in Austin Chatman and Grant Gibbs, and a collection of 3-point shooters. This is a lethal group. Louisiana-Lafayette is not a big-time program, but the Ragin’ Cajuns have two possible NBA prospects: junior guard Elfrid Payton and sophomore forward Shawn Long. Payton is a legitimate triple-double threat. The point guard averages 19.1 points, 5.9 rebounds and 6.0 assists per game. It took him a pair of overtimes, but he actually did post a triple-double Jan. 4 against Louisiana-Monroe. He is also a defensive menace with 2.3 steals per contest and a top-75 steal rate. Long will be the key for the Ragin’ Cajuns against Creighton’s thin frontcourt. The 6’9″ sophomore averages 18.7 points, 10.5 rebounds, and 2.7 blocks per game. Talk about an imposing figure. He connects on more than 54% of his 2-point shots and drains 42.7% of his 3-point shots. If the Ragin’ Cajuns are going to pull off this big upset, they’ll also need significant additions from guards Bryant Mbamalu and Xavian Rimmer. But barring a miracle, don’t expect this No. 14 seed to stop Dougie McBuckets’ run to Dallas. Eastern Kentucky has a very strong backcourt with combo guards Glenn Cosey and Corey Walden and shooters Orlando Williams and Tarius Johnson. But the Colonels do not have the size to contend with Kansas, even if the Jayhawks do not have Joel Emiid. Only one of the Colonels’ top six players stands taller than 6’5″. Perry Ellis, Tarik Black and Jamari Traylor will tear this team apart, and Andrew Wiggins and Wayne Selden Jr. will also overmatch Eastern Kentucky’s wings and guards. Oklahoma State has stitched things back together since Marcus Smart returned from his suspension in February. The Cowboys’ only losses during that stretch are at Iowa State and on a neutral site to Kansas, both in overtime. They also beat the Jayhawks at home March 1. Smart and Markel Brown will be too quick and athletic for Gonzaga’s guards. Although the Zags have the frontcourt advantage with Sam Dower and Przemek Karnowski, it will not be enough to make up for it. This game is essentially a toss up, like you would expect an 8/9 game to be. George Washington has a phenomenal, deep frontcourt and a pair of very good guards; Memphis has a talented, deep backcourt and a couple of solid big men. Memphis point guard Joe Jackson has had a bit of a disappointing season in terms of scoring the ball, but he is still a great distributor with more than two assists for every turnover. Missouri transfer Michael Dixon Jr. and Memphis native Chris Crawford are dangerous on the perimeter, and Shaq Goodwin and Austin Nichols can do work down low. Indiana transfer Maurice Creek has been the comeback player of the year at George Washington. Creek, who suffered multiple knee injuries, leads the team with 14.3 points per game and is shooting better than 40% from deep. Sophomore Joe McDonald is the Colonials’ other backcourt starter, averaging 8.3 points and 4.1 assists. Up front the Colonials have a pair of double-double threats in Isaiah Armwood and Kevin Larsen. 6’6″ Patricio Garino causes mismatches as a guard-forward hybrid, and 6’8″ Nemanja Mikic provides quality minutes off the bench. The big test for George Washington will be taking care of the ball. The Colonials cough it up in more than 19% of their possessions, and Memphis’ defense ranks No. 40 in the nation in turnover percentage. Wichita State’s road to the Final Four will only get difficult in the Round of 32. Defeating Cal Poly will be an easy task. The Mustangs do most of their work from beyond the arc, and Wichita State is an excellent defensive team on the perimeter. Cal Poly also does not have much size, which works to Wichita State’s advantage. Cleanthony Early will shut down the Mustangs’ stretch-fours, and the Shockers will advance with no issues. This is one of Friday’s “don’t miss” matchups. First off, Providence has been playing some great basketball lately and probably deserved better than a No. 11 seed. The Friars have won six of their last seven games and had an impressive showing in their Big East Tournament title run. But what makes this game even more intriguing is the point-guard matchup between North Carolina’s Marcus Paige and Providence’s Bryce Cotton. Paige emerged as one of the better point guards in the country this season, averaging 17.4 points and 4.3 assists per game. He also shoots 39.1% from 3-point land. He has taken over many games this season, and watching him do that on the biggest of stages at the NCAA Tournament would be a heck of a lot of fun. Cotton would have led the Big East in scoring this season if Creighton had not joined. Behind only nation’s leading scorer Doug McDermott, Cotton was second in the league with 21.4 points per game. He also averages close to six assists per game. Stephen F. Austin has simply been on a roll. Forget a team’s level of competition — the Lumberjacks have won 28 games in a row, which is undeniably impressive. Their only losses are a bad one to East Tennessee State and a close one to Texas, a No. 7 seed in the NCAA Tournament. In the loss to Texas, the Lumberjacks actually led in the final seven minutes and were tied into the final three minutes. So they’re capable of making a postseason run. Stephen F. Austin is a well-balanced group with experienced ballhandlers that should be able to handle Havoc pretty well. But the Rams are still a huge step up from the level of competition, and they had been playing great basketball to end the season as well. Shaka Smart’s club won six games in a row before losing a close one to St. Joseph’s in the Atlantic 10 final. There’s not a whole lot for Virginia to worry about in this one. The Cavaliers have one of the nation’s best defenses, and Coastal Carolina really struggles to score the basketball. The Chanticleers have the worst adjusted offensive efficiency among NCAA Tournament teams, according to KenPom. And it’s not even close. The second-worst is No. 15 seed Wofford, nearly 60 spots ahead. Kentucky has finally started to reach its potential, but there is still a lot left to be desired. The Wildcats lost three of their last four games in the regular season but then played well against LSU and Georgia to reach the SEC title game. In the conference finals, they lost to No. 1 Florida by a single point. Kansas State is basically the opposite. A Big 12 team with low preseason expectations, these Wildcats started 12-3 and 2-0 in conference. Since then, they are 8-9 with only one win away from home. With these teams recent trends, it’s hard to pick against Kentucky. 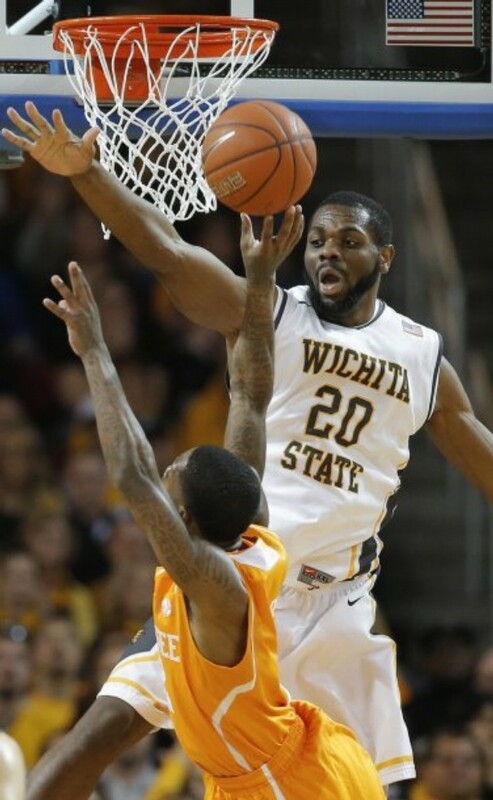 Plus, how could you not want that Wichita State-Kentucky matchup on Sunday? North Carolina Central has won 20 straight games entering Friday’s matchup, and the Eagles could give Iowa State some trouble with their stifling defense. The MEAC champions rank No. 5 in both effective field-goal percentage defense and turnover percentage defense, according to KenPom. North Carolina Central also has a stud of a scorer in senior guard Jeremy Ingram, who averages 20.6 points and shoots 37.5% on 3-pointers. Ultimately, Iowa State just has too many weapons for a MEAC team to handle. The Cyclones have two legitimate Big 12 Player of the Year choices in guard DeAndre Kane and forward Melvin Ejim. Kane is a triple-double threat with 17.0 points, 6.7 rebounds and 5.8 dimes per contest, and Ejim leads the team in scoring with 18.1 points per game. He also grabs 8.5 boards, second-best on the team. 6’6″ forward Dustin Hogue is another double-double threat who complements Ejim, and sophomore forward Georges Niang is a budding, versatile star. It would be a great story for Danny Manning to return to the NCAA Tournament as a coach right where he left off as a player. But it’s probably not happening. Tulsa had a great season in Conference USA and enters with an 11-game losing streak. But their only quality wins during that stretch are against Louisiana Tech, Middle Tennessee and UTEP. Good enough to make mid-major rankings, but not good enough to scare a team that just beat Arizona on a neutral site. UCLA will have a huge size advantage with sophomores Kyle Anderson and Jordan Adams in the backcourt, and the Bruins’ slew of 3-point shooters could be in for a field day. Tulsa poorly defends the perimeter, allowing opponents to shoot better than 35% this season.